We are thrilled to be working with the Swiss Institute on designing their new headquarters which will open on June 21 of this year. 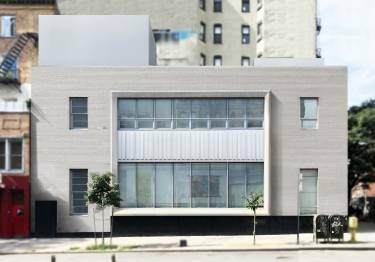 The renovated 7,500 sf former bank building in the heart of the East Village offers spaces for exhibitions, projects and public programs, a library, a bookstore, and a public rooftop. The design allows for a more welcoming and flexible spaces to accommodate SI’s innovative and diverse programming. SI will open with its inaugural exhibition, entitled “Readymades Belong to Everyone,” marking the 3rd edition of SI’s Annual Architecture & Design Series. Read more about the opening.